A Kyoto University research team says it successfully used neurons created from stem cells to replace neurons damaged by Parkinson's disease in monkeys. What they found: The five-year study found transplanted neurons could survive long-term and restore movement control with minimal side effects, the scientists said. They report their results were improved by matching proteins in the grafted tissue with proteins in the recipient and using mild immunosuppressants. Why this is important: Among other problems, Parkinson's disease, which affects roughly one million Americans, causes neurons to degenerate and die. As a result, nerve cells can't communicate with muscles properly. While drugs can help alleviate symptoms temporarily, researchers are searching for ways to halt the degenerative aspect of the disease. There is renewed interest in using stem cell research after a halt years ago due to a lack of success and painful side effects. "These findings are important because it [offers] strong evidence that these cells are clinically applicable," Jun Takahashi, study author from Kyoto University told Axios. Yes, but: The NIH's Mark Cookson, who wasn't involved in the research, points out that while there may be merit in moving forward with stem cell therapy research to see how it does in human trials, he does not think this will become the main therapeutic avenue for most Parkinson's patients due to cost and that it does not treat all the disease's symptoms, which can include dementia and falls. "Despite the technical achievements here, the procedures are going to be more complex and expensive than mainstay symptomatic treatments like L-DOPA [a drug called Levodopa used to manage symptoms] and surgical approaches such as deep brain stimulation," Mark Cookson, cell biologist at the NIH's Laboratory of Neurogenetics, told Axios. "Perhaps more importantly, these targeted approaches will not address non-dopaminergic/non-motor aspects of PD which are very problematic for many patients. All of those concerns were concerns when stem cell therapies stopped being chased as heavily and I don't think those have changed." Tilo Kunath, a neurologist at the MRC Centre for Regenerative Medicine who was not part of this study, said it was "extremely promising research," according to a Science Media Centre roundup of expert opinion. "Such therapy has the potential to reverse the symptoms of Parkinson's in patients by restoring their dopamine-producing neurons," Kunath said in the release. The details: The research team first injected monkeys with a neurotoxin over a period of time until the animals consistently showed typical Parkinson's symptoms including tremors, bradykinesia, and impaired balance for at least 12 weeks. 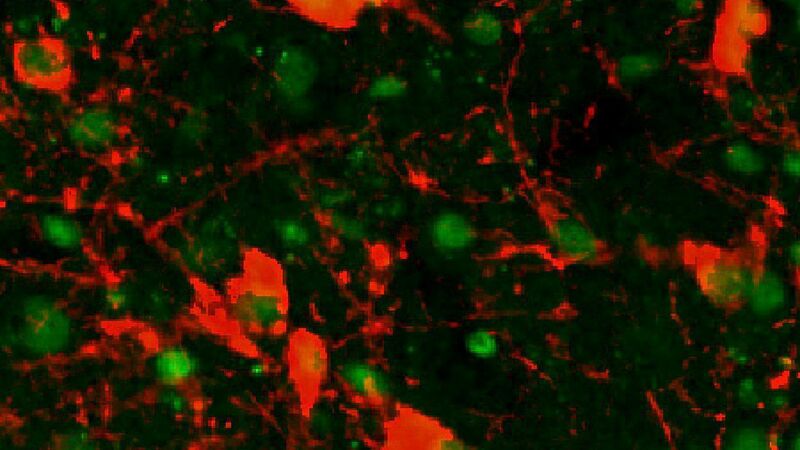 They created dopaminergic neurons from adult human cells that were reprogrammed to become capable of differentiating into a range of different cells, similar to stem cells. They then grafted the cells into the brains of Parkinson's disease-affected monkeys and observed the animals for two years after the transplantation.